Not too long ago, I returned to my parked car and found a sheet of paper on the windshield bearing an expletive-laden message. The anonymous poster had obviously gone to some effort to make these flyers on his home computer -- complete with color cartoon figures and such. It let me know what an (obscenity) I was. My sin was having parked my car a tiny bit over the white line. I confess. I'm guilty. The garage was full of empty spaces, mind you, and it was only a few inches, but still, it was wrong. But did it require that response? If he had to vent his rage, couldn't he have left a note saying "It's inconsiderate to park over the white line"? My offense seems to have been merely an excuse. This person, clearly overflowing with hostility toward his fellow men, had preprinted these vulgar missives, and delivered them to everyone who offended him. Is it my imagination or has the tone of the internet seeped into daily life? People often suggest that Twitter's cruelty and misanthropy are unique to the format. Announcing that he was deleting Twitter from his phone, Andrew Sullivan advised: "Social media has turned journalism into junk, has promoted addictive addlement in our brains, is wrecking our democracy, and slowly replacing life with pseudo-life." The comments sections of websites are sewers, some have suggested, because they're anonymous. I used to think that. Now I'm not so sure. While anonymity clearly unleashes some of the darker sides of human nature (which is one of the reasons mobs are so dangerous), and while real life is somewhat more civilized than "pseudo-life," the indecency is now quite open in our politics, our entertainment and, as noted in the car story (and other stories I could tell), in daily life. What happened when Samantha Bee used the C-word with reference to Ivanka Trump? She ought to have been greeted with shocked silence. Instead, she got applause. 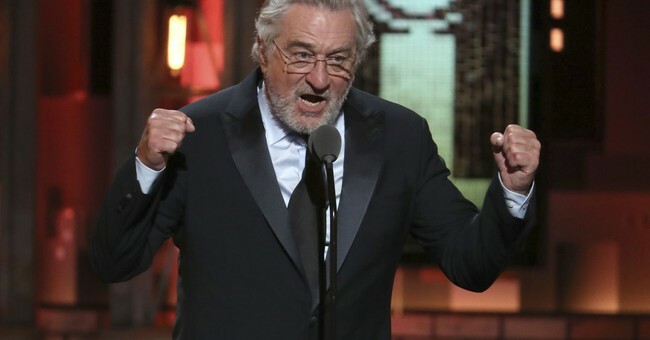 When Robert De Niro unloaded the F-bomb on Donald Trump, he got a standing ovation at the Tony Awards. These cultural figures are clearly not thinking things through. If they object to Donald Trump's vulgarity and norm violating, they forfeit their standing by responding exactly in kind. If you find him offensive, maybe you shouldn't emulate him. Almost exactly 64 years ago, the subject of decency became a national showstopper. At the Army/McCarthy hearings, attorney Joseph Welch, representing the Army, punctured the pretensions of Roy Cohn, Sen. Joe McCarthy's aide, by demanding that he release the senator's list of 130 subversives "before sundown." Cohn couldn't, as Welch well knew. The list wasn't real. (There were communists in the State Department, but McCarthy threw wild charges in all directions and tainted the entire anti-Communist cause.) When Welch raised the matter of Roy Cohn's use of taxpayer dollars to wine and dine his friend, and Cohn's abuse of his government post to pester the Army to afford his friend special treatment, McCarthy responded (as he usually did) with an accusation of his own. Instead of answering the criticism, he did something die-hard Trump fans would love: He leveled a new accusation, this time against a lawyer in Welch's firm, who had been a member of the left-wing National Lawyers Guild. Welch responded, "Until this moment, senator, I think I never really gauged your cruelty or your recklessness. ... Have you no sense of decency, sir?" McCarthy didn't. And in the 1950s, it proved his undoing. Nor did Roy Cohn, who went on to a lucrative, if dodgy, career marked by corner cutting and allegations of professional misconduct (he was disbarred in 1986). His most significant role in history may well have been taking a young Donald Trump under his wing and modeling the "never back down, never apologize" style we've come to know so well. This entire administration, taking its cue from the president, has engaged in indecency on an unprecedented scale. We've elected the boarding school bully. Just a day before the president reversed his position on tearing children from their parents' arms, Corey Lewandowski, confronted with the story of a 10-year-old child with Down syndrome forcibly separated from her mother at the border, scoffed, "Womp, womp." That's the Trump spirit. Republicans keep mostly silent about Trump's assaults on basic morality because they fear his popularity with their voters. It's small and cowardly. But the Democrats have nothing to fear from modeling basic integrity, civility and fidelity to truth. They should try it.